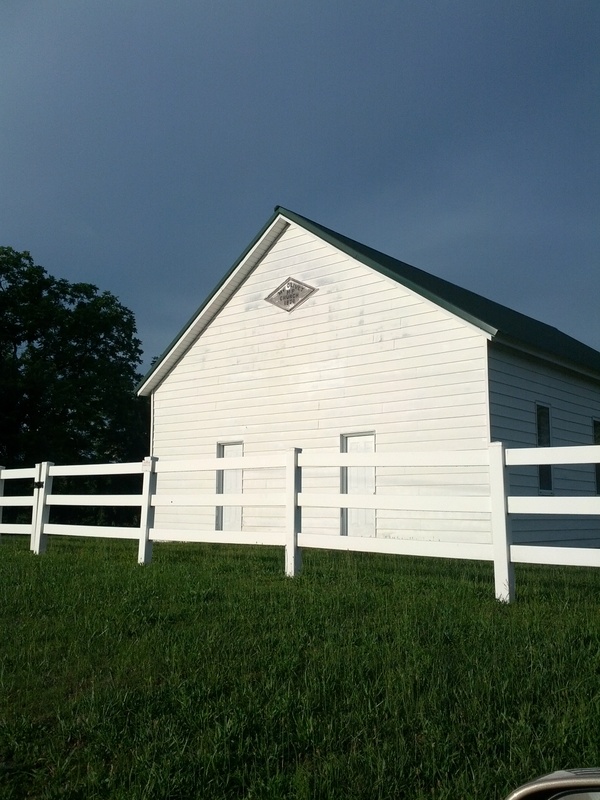 There is an absolutely adorable country church in Cole Camp, Missouri that I like to visit occasionally…well technically it is the attached church cemetery that would feature the most check-ins from me and my family members. Some of my family members have been checked in there for a very long time (in a way). My most recent visit was some Saturday after Memorial Day. My sister and I attended Saturday church services and then decided to stop by the Mt. Olivet cemetery on the way home. There were a lot of pretty flowers on the graves, which was nice, an unkempt cemetery can be beautiful too…but it’s easier to walk through one that has at least been slightly cared for. I’m an advocate for giving flowers to the living. (Swiped that from a poem.) I don’t think that my grandparents and great grandparents are aware of the adornments on their graves. I do know that MY parents, who are very much alive, are aware of whether or not the graves are decorated–so I think it is a good idea to keep them neat looking. I think some people have a fear of being forgotten. The seeming permanence of a granite grave marker and beautiful display of flowers may be a comfort to some. For the living, I will continue to stop by and make sure that I contribute to the decoration of the graves. What I personally get out of visiting this cemetery is a beautiful sense of peace. It is so quiet there. While standing there I caught myself thinking about their lives and whether or not they truly felt alive when they were living. I had to admonish myself. They surely did live and love although it was a hard life that cut their years short. 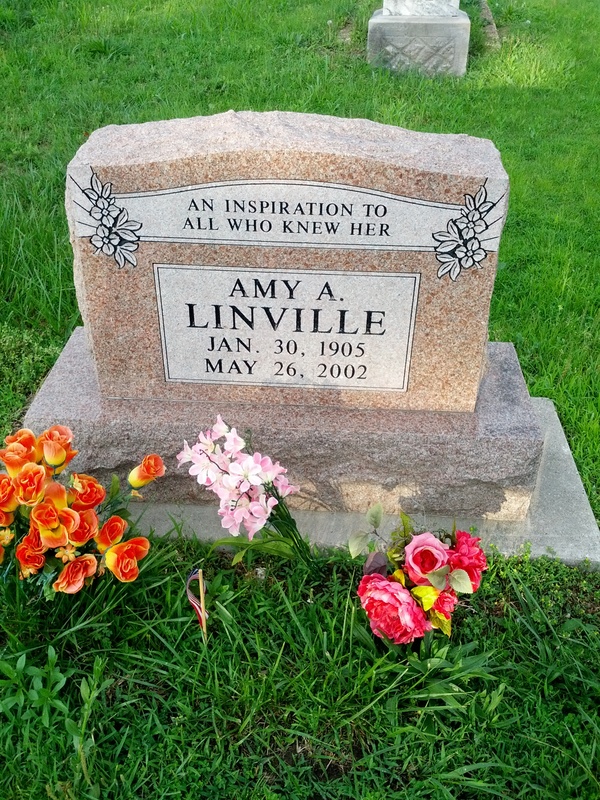 Then I got a little bit of memorial envy when I saw Great Aunt Amy’s grave marker. “An inspiration to all who knew her.” What a fantastic thing to have etched into granite. It is also an awesome thing to share with the living. The one anecdote that I remember my mom telling me about Great Aunt Amy was that she was a “spinster” supposedly jilted at the altar. I don’t know if that was true, but that’s what was shared–so that’s what lives on in my memory until someone tells me different. She apparently had an amazing life despite that event. So life goes on. O-Bla-Di O-Bla-Da. I might never die–the biggest waste in the here and now would be to never live. I can’t allow myself to be so overcome by disappointments and “failures” that I lose out on life. I can happily say that since that visit I have been making time management decisions that feel more like “life” than death. I don’t think I will be purchasing a whole lot of flowers for the living–that might become a misunderstood gesture, but I think I can genuinely let people know what they mean to me while they are here. I feel that I could be a lot better about showing my appreciation for the people that have made a difference in my life. Life after Mt. Olivet looks a lot like a life worth living.